All these programs are on Wednesday evenings from 7:00 to 7:45 p.m. in the community room of the library. Parents please note- If your children cry during the concert you will need to take them out of the Community Room so the rest of the audience can enjoy the concert. April’s free family music program sponsored by the Friends of the Carmel Valley Library will be held on Wednesday, March 13 at 6:45 p.m. in the Library’s community room. DUO ELENA, harpist Elena Mashkovtseva and flutist Elena Yarritu, will present a recital of works by Ravel, Debussy, Mozart, Ibert, Fauré, and others. Caitlin Fahey Crow, cellist, will appear a guest artist. While Duo ELENA share the same name, they also share a passion for teaching. Their pupils are among the most talented, young musicians in San Diego having won numerous awards locally and nationally. Mashkovtseva has enchanted audiences throughout the world with her virtuosity, grace and elegance. She is a graduate of the Moscow Tchaikovsky Conservatory where she studied with the celebrated harpist Vera Dulova. She performs as acting principal harp of the San Diego Symphony and teaches at San Diego State University. 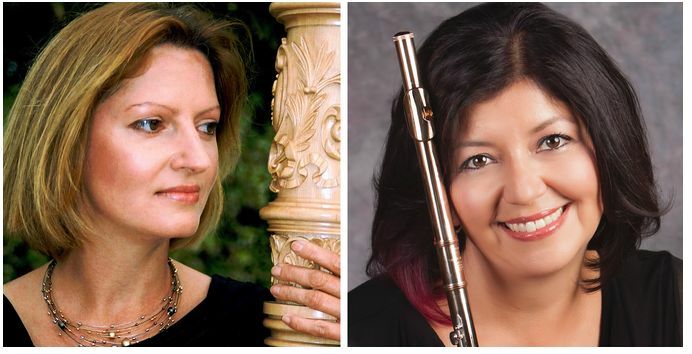 Yarritu, a California native, studied with French flutist Isabelle Chapuis and went on to work with some of the most celebrated flutists in the US and abroad in Europe. She performs principal flute with the La Jolla Symphony and records on the MSR Classics label. Her playing has been described as “fearsome and adventurous” by Fanfare Magazine while being “wholesome and jubilantly virtuosic” (American Record Guide).